Fire piercing crystal soul spear. the armaments of the ancient lords. Sold by Big Hat Logan in The Duke's Archives after freeing him. 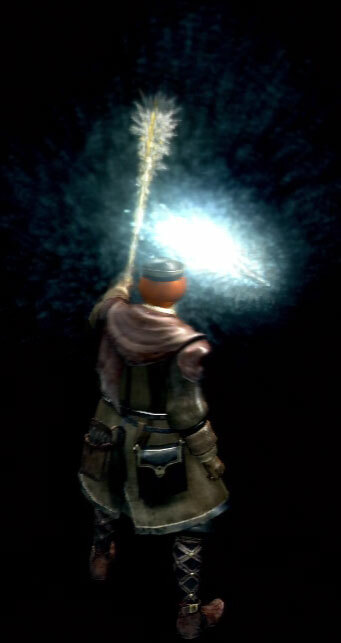 Fires a large crystal spear projectile. Stronger version of Soul Spear. Magic damage is 3.2 * catalyst's MagAdjust. The strongest single-hit Sorcery in the game, easily triggers overkill to most enemies. One of the most powerful Sorceries overall. The most expensive thing in the game. Nothing else that can be purchased is more expensive than this.